Today marks the first Sunday of Advent. Most people are probably at least a little familiar with that term, in one way or another. The advent calendar was likely the point of introduction for most folks, because these things are literally everywhere at Christmas time. 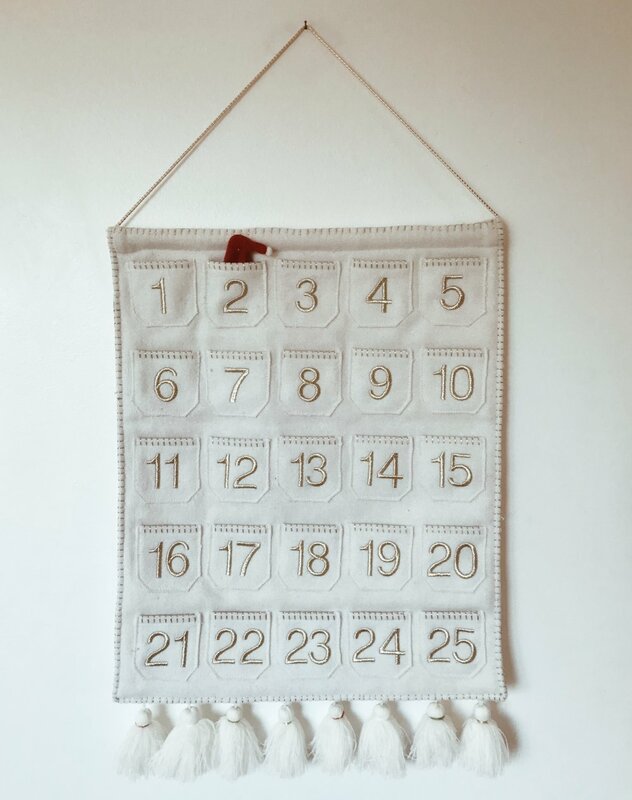 They have pockets with the numbers one through twenty-five, and the idea is to do something every day that marks the days of December leading up to Christmas. Sometimes you move a marker, sometimes you read a passage of Scripture, sometimes you perform an act of service, and, sometimes you pull out a piece of chocolate for your consumption (a personal favorite of mine, but certainly not of my skinny jeans). But, unless you have firsthand experience with a more traditional church, you might not be familiar with the true, deeper meaning of Advent. If you’re a nerd like me, you might be interested to know that the word “advent” has roots in a Latin term, meaning something like “arrival”, “coming”, or “visit”. It begins four Sunday’s before Christmas and ends on Christmas Eve. It marks the beginning of the church year for Christians, so it’s quite significant. During Advent, we anticipate and prepare for the coming of Jesus. In a church service, you’ll typically find specific hymns, Scripture readings, and sermon topics. There’s also loads of devotionals, kids’ crafts and other things that are meant to help “every heart prepare Him room” (as the song goes). Since we’re looking forward to celebrating the birth of Christ, this season is usually filled with feelings of excitement and hopeful anticipation. I mean, we’re getting ready for Christmas, right? But what about when Advent doesn’t feel so joyous? What about when it feels more like sorrow, and the perky Christmas commercials make you want to turn off the tv? When the cheer in church or among friends makes you feel like an outsider, a stranger in a strange land? I think that most of us aren’t unfamiliar with this kind of feeling. I know I’m certainly not exempt. I’ve buried three of my four grandparents during Advent, awaited the foreclosure of my childhood home, and navigated family situations that are fraught with sadness and uncertainty. It’s not always chocolates and children’s Christmas programs, and if you think it’s meant to be, then you’re missing out on a crucial part of the season. Advent isn’t just about celebration, it’s also about longing. We’re remembering how the Jewish people waited for thousands of years in often painful expectation for a Messiah. We’re also remembering our own longing for, and need of, forgiveness, salvation, and the restoration of God’s good Creation. Even as we look back and celebrate Jesus’ humble birth in that stable in Bethlehem, we’re looking forward to His return and the fulfillment of all that was promised in His first coming. So, as you anticipate the celebration of Christmas this year, I hope you’ll consider the fullness of Advent too.